A fine pillar, but the dial itself is rather standard. However, visitors (such as myself) from England will notice the high angle of the gnomon. We are only 16km (10 miles) south of 60 degrees latitude, and the gnomon must point at the North Celestial Pole. 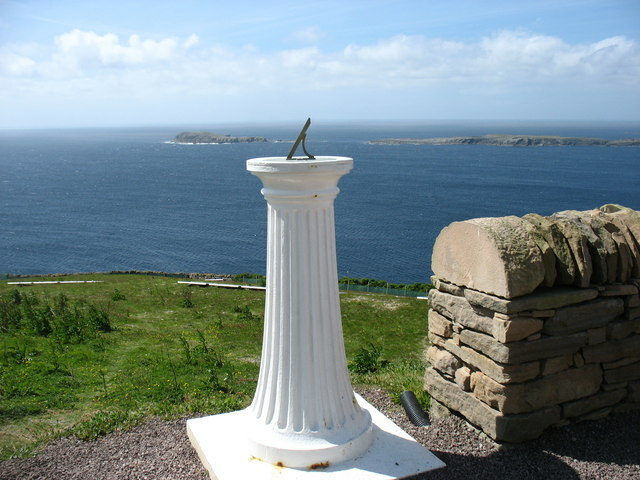 To the left of the sundial is Horse Island (in square HU3807), which is (if you exclude Fair Isle) the most southerly point in the Shetland Islands.